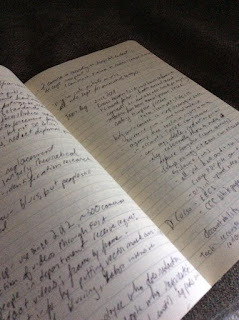 Notes from some of the panels that I attended at the Computers Freedom Privacy Conference this week. Hacking as a next-best solution to backdoors? Is hacking just one device better than backdoors in all devices? Some mention made that this still leaves all devices vulnerable to the exploit used against the single device. Discussion that the Wiretap Act standard (alternatives exhausted, etc) should be the mininum standard process, currently there is a process vacuum. Also compared to 215: years of secrecy about use which sidesteps public debate. There hasn't been any transparency on hacking; no Congressional hearings with technologists. Could companies be required to help hack under All Writs Act, ie push a malicious OTA update to a device with the payload? Adversarial relationship between Law Enforcement and US companies that operate globally. Is it different to require a company to turn over server info vs. requiring the malcious update push? And is that malicious OTA different in any meaningful way from a backdoor? Without the assistance of the companies, are you limited to drive-by attacks on home wifi networks, or phishing attacks? LEOs/ i18n espionage: they might impersonate a company to push these malicous OTAs; Harris Company (makers of stingray devices) have tools and engineers that bleed between law enforcement and national security contexts. Knacke: Post 9/11, companies came to governemnt and said "what do you need from us? ", some of that was codified in law; Post-Snowden, that level of cooperation more seen as problematic. But we should make policy now, when it's not an emergency situation. All Writs Act is ex parte, could be used in a time crunch emergency, and would then create harmful precedent. Knacke answer: Rosy scenario is that disclosure of the vuln used is required (likely to be discovered anyway if used too much). So, LEOs should have access to updated vulns; thinks this would improve security because they would be disclosed and recycled regularly. Soghoian: iOS jailbreaks are about $1 million on the 0 day market. Do we want state/local LEOs to have access to something worth $1million that they can resell, or that could be stolen from them? State/Local officials get 2 days of training with Stingrays. 2 days training not enough to be entrusted with iOS vulns. Panel says that only people with skills and infrastructure should have access to the tools that leverage these vulnerabilities. Discussion about whether the targets will figure out the hacks by analyzing them. UK recently passed backdoor legislation; published a hacking guideline manual because they were sued for not having rules, so they ex-post made rules. Soghoian: hacking by government makes people who have done nothing wrong targets, ie Gemalto engineers who were hacked to get access to what they have access to. Tor, before this August, had no auto-security update mechanism, but now does. Previously, FBI could use non-zero days; once Tor users update to the auto-updating version, will drive up cost for FBI, more reliance on zero days. Watering hole operations, where FBI delivers malware will only work with non-patched vulnerabilities. The move to auto updates might be bigger impact than the move to widespread encryption. Laws at play: First Amendment, §230 of CDA that grants immunity for intermediaries, §512 of DMCA that grants conditional immunity. Attacks on 230: SAVE Act - justice for victims of trafficking act. crime of advertising a person, but 'advertising' is not defined, could be used to go after websites on which ads appear. Content owners want notice-and-stay-down. Copyright notice & takedown are unique in susceptibility to algorithmic enforcement (unlike privacy Right To Be Forgotten Claims that need human review); pushback now though with Lentz that need to consider fair use. Many industries deal with risk management and have sophisticated methods for sharing information about risk. Vulnerability disclosure: how much should be told to who, and when. Full disclosure vs Responsible disclosure vs zero disclosure (which was tagged as tell no one, ever, not zero day market sale?). Some people call responsible disclosure blackmail; but some vendors don’t behave in a responsible manner. Information sharing secrecy: some commercial network outages are kept secret, because the outages could reveal vulnerabilities in the networks; similar to removing nuclear power plants from maps. Risk communications: do we know how to do this? Granick says that we may end up with a cyber 1% who understand the risks and are patched. Trust issues (see Facebook’s Threat Exchange). If you keep information under wraps, the information become criminalized, but the internet (ie methods like full disclosure email list) push back on this; also independent discovery. Tension between disclosing everything and restricting everything. The security industry feels that they have lost stamina to discuss disclosure; the status quo works better than regulation, esp. with fear that regulation would censor independent researchers. Who would open processes help? Only commercial interests? Operational security enhancements are important for internet; consider nature of the information and civil liberties. Vulnerability researchers think they are special snowflakes, and vendors think they are special snowflakes, want to censor researchers because vendors think the problem will go away if they suppress it. However, see on seclists how often independent discovery happens; he notes also that they get POCs from separate vendors that have md5s that match; means researchers are sharing info among themselves, and multiple of them choose to share with vendor. So there is likely even more sharing among researchers than vendors think. Incentives for researchers? Mostly there are bad incentives out there, see DEF CON 9 arrest; weev’s prosecution; his OWASP friend who found airline vulnerability in mobile app and reported it, was met with threat of lawsuit and fine. See also FireEye incident recently, Oracle’s Mary Ann Davidson blog post, “we don’t need researchers”. Schneier: easy to mock the vendors stance that if researchers don’t find bugs, vendors won’t have to patch, because the zero day market incentivizes the bug finding. Not all vendors are bad- see Bug Crowd talk at BlackHat. At that talk, they said that if you don’t provide $ award or t-shirt, but instead just promise not to sue, researchers greatly value that social contract. Researchers get a venue where they feel safe, get kudos & can build a portfolio. Notes that FaceBook has had direct hires from their bug bounty program. Legislation so far seems aimed at pushing underground; even through lawsuit threats, though, word gets out. Instead of reacting this way, vendors should work with researchers. Building structures: not always better with bacon! Need to fit solutions to the problem. Balancing usability & security; push also to update govt. procurement standards to include security. Legal regimes should evolve to address challenge of feedback loops. See §1201 exemption 25, security research; CFAA circuit splits. Wants to centralize prosecution only with DOJ, no state prosecutions. Incident response by CERTs: have changed to be less technical these days, lay people can get what they need. Sold as “record what the police see”, tension between police accountability vs public privacy. Should defendants have access to raw footage, or only redacted? Currently variety of standards. DC: all kids faces and bodies are blurred, Federal law enforcement: faces redacted. In houses: some departments redact displomas, prescription bottles, faces. Tech: blurring, or replacement two main methods. But tools exist that can re-construct images from reflections, so is this enough? Also, Google Street View blurs faces, but people are recognized by those that know them. Should there be more redaction, and only show edges/outlines? Norfolk PD: redact videos requested via FOIA. Do it manually, frame by frame. Footage involved in criminal prosecutions not released until all appeals/process finalized. Discussion of what if you record in a hospital, or domestic violence victims: do you keep recording? What gets redacted? Officers have discretion to turn off camera, but speaker notes that in domestic violence cases, often photos will be taken at a hospital anyway. All footage recorded is kept for 30 days; after that only kept if needed. · Seeking to improve manual redaction process; their cameras upload to an online portal, evidence.com; only police departments have access to the data within their accounts there. · Footage uploaded has an audit log. All redactions, edits are made to copies of original, which can always be recovered. · Taser rep was very adamant that only agencies could access the data & it was highly secure, but didn’t back up assertions with any mentions of outside pen testing or other security testing. * clarification of terms cause concern >> commerce has gone past WA, if i have knowledge that my general purpose networking equipment will be combined w/ other components to make a surveillance system, need a special license. isn’t this a de facto control w/ all telecom equipment? is this an effective control? * Duality >> are export controls the right method? * can a multilateral agreement work? How much is driven by sale of products?